Former Rivermaya frontman Rico Blanco on his continuous effort to support super typhoon 'Yolanda' victims, covers the popular song from the controversial Miley Cyrus, 'Wrecking Ball' for good cause. The Filipino rock star does not usually sing a pop hit but for the sake of raising funds, he is much willing to do it. 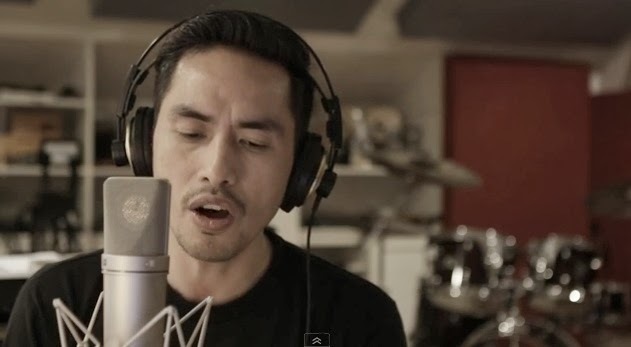 On his official website, ricoblanco.tv, he announced on Thursday that it's part of relief efforts for Yolanda victims. On his video entitled "#Ricovered Rico Blanco - Wrecking Ball' cover", the introduction states the following: "Once in a while, I receive requests to record cover versions of other artists' songs. Though I think it would be fun, I rarely get to do it as I usually prefer recording my new compositions." "Two weeks ago, in exchange for Twitter followers' donations of any form or amount to typhoon Haiyan relief efforts, I promised to finally record a song or two from among their requests of even the most unusual songs for me to cover," Blanco added. He said that 'Wrecking Ball' is one of the requested songs from his fans. The song topped charts internationally when it was released in August this year. As of press time, the video has a total hits of more than 103,000 views. Though it got some negative reactions from those who watched already, netizens still appreciate him for doing the cover. Last month, Rico Blanco donated his full talent fee from the successful Sundown Festival 2013 held in Singapore to the survivors of typhoon Yolanda in the devastated province of Leyte.